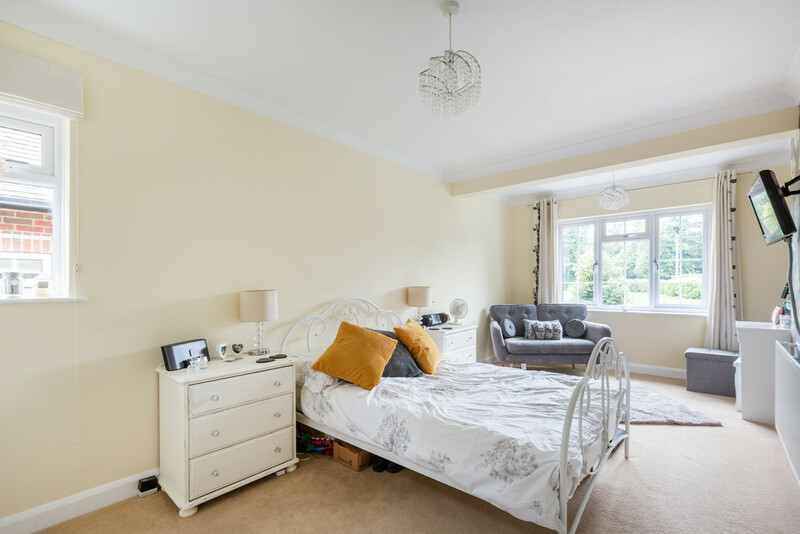 Extended to provide superb entertaining space with as equally impressive four bedrooms including a master suite measuring 31 feet in length, an excellent family home within walking distance of both Haywards Heath station and the centre of the village. An excellent example of a modernised 'Turner' home. 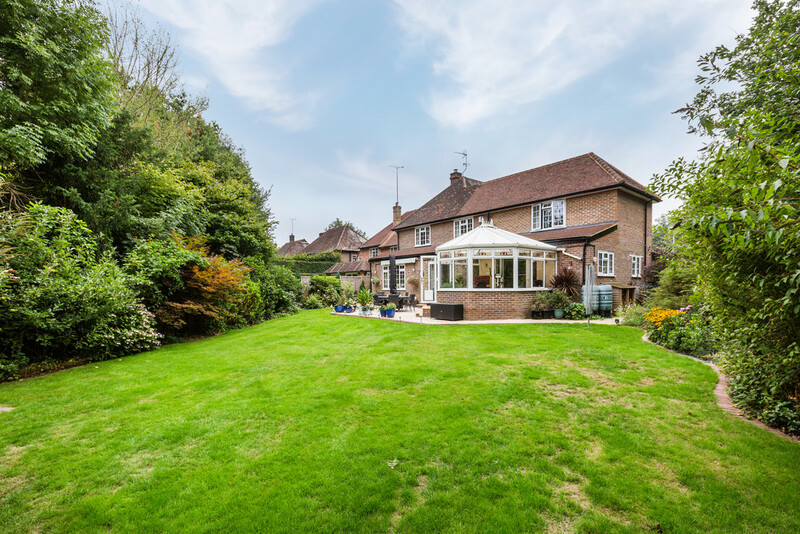 Extended to provide superb entertaining space with as equally impressive four bedrooms including a master suite measuring 31 feet in length, an excellent family home within walking distance of both Haywards Heath station and the centre of the village. An excellent example of a modernised ‘Turner’ home. DESCRIPTION Perfect for a busy family that needs excellent entertaining space, this is a home that we have really fallen for. 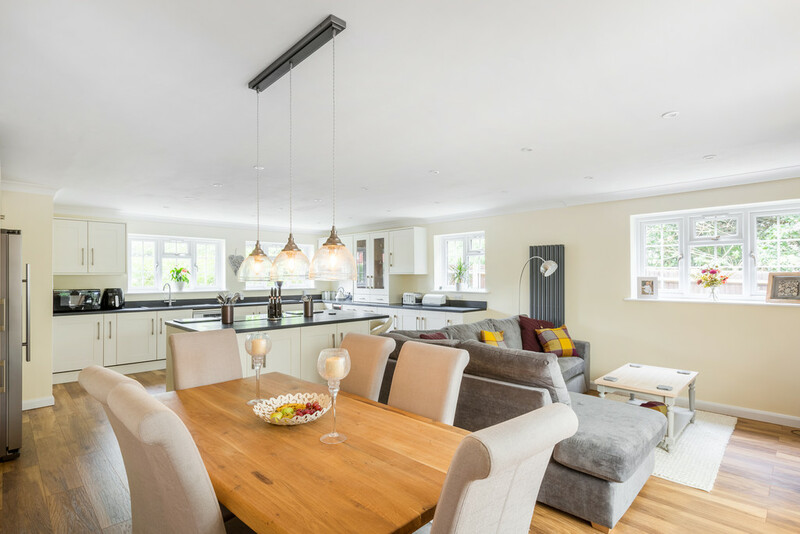 Re-modelled on the ground floor and extended on the first floor, we think that that there is the perfect combination of a modern, slick finish in the kitchen/family room and bathrooms, coupled with the cosiness of the wood burner in the sitting room. 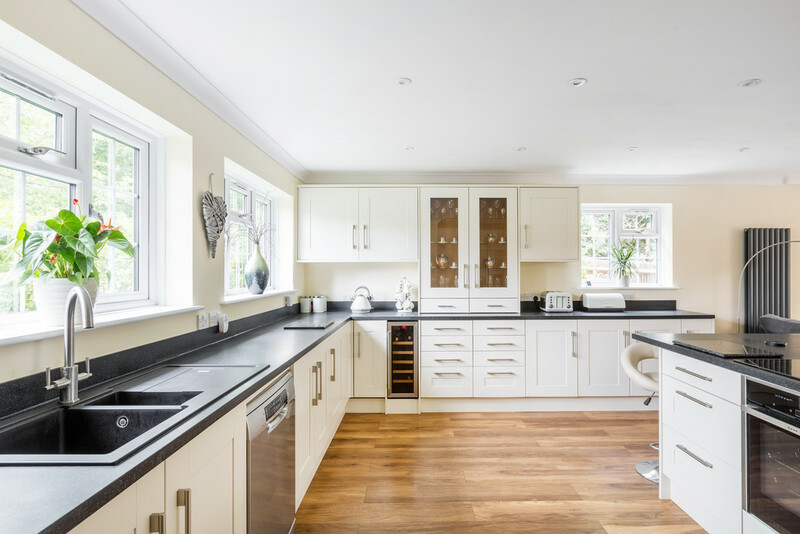 As soon as you walk through the front door and turn left from the entrance hall into the kitchen, you are in the hub of the home. 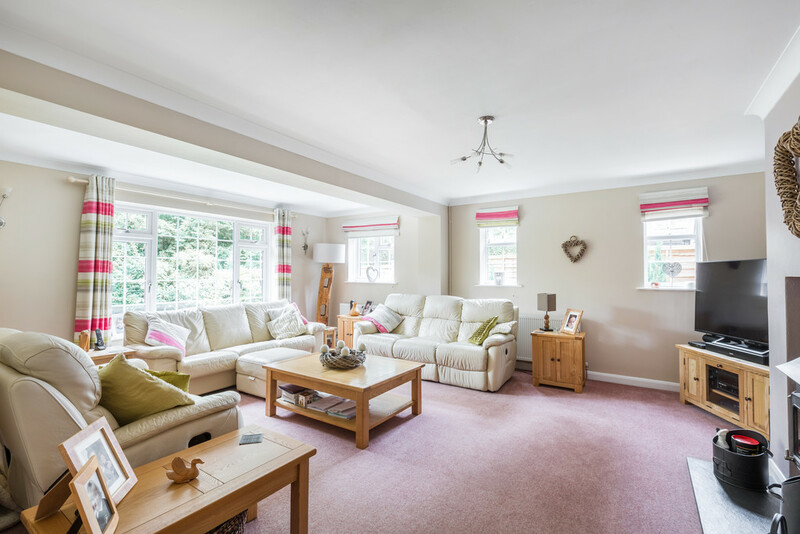 This used to be two separate rooms but is now a superb triple aspect multi-functional room. 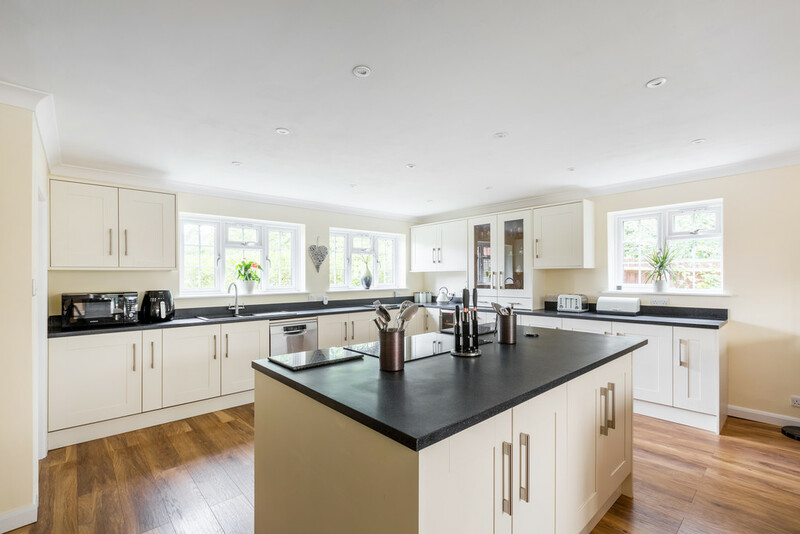 The layout of the kitchen is superb, with plenty of Apollo work tops that you would want in a home of this size. There is ample cupboards and drawers too, with a carousel unit, pull out larder unit, that all important wine cooler and units specifically designed around the American style Samsung fridge freezer. 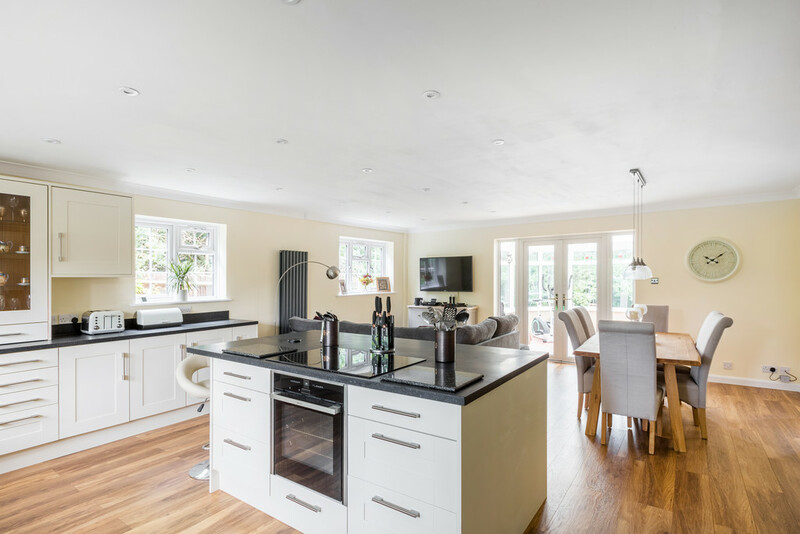 The island houses the four ring hob and oven, as well as a breakfast bar area with seating. The kitchen then flows perfectly into the family and dining area. There is space for a dining table on one side and on the other, a sofa to relax on in front of the TV. 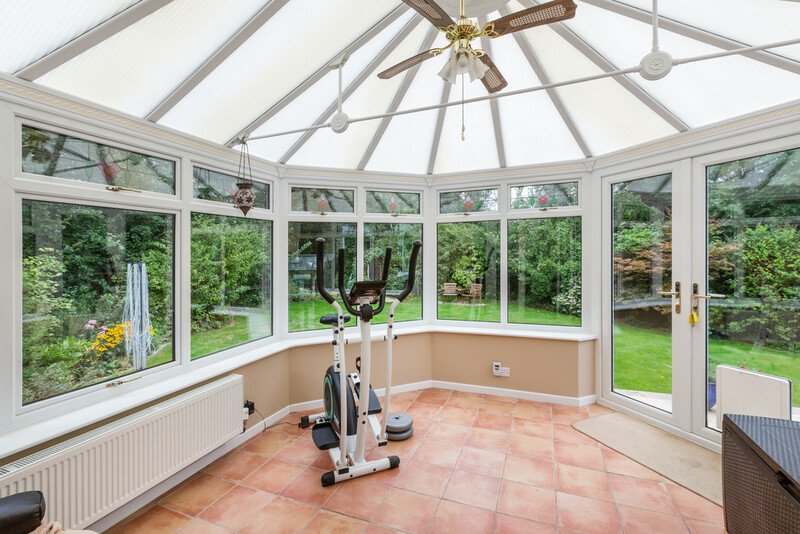 It is not hard to see why our clients spend the majority of their time in this excellent room. Doors then lead you out to the conservatory, and then into the garden. 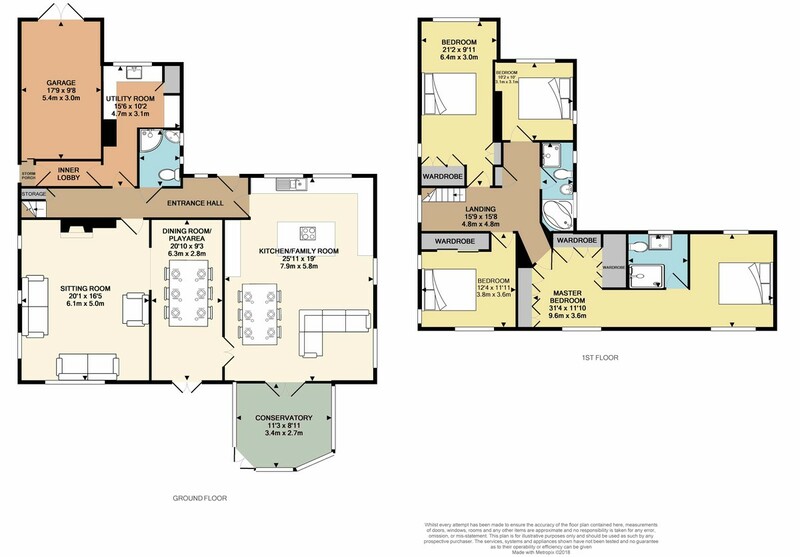 Parallel to the kitchen/family room is the dining room which we think could work perfectly as a playroom. The double aspect sitting room is a really good size, measuring an impressive 20 x 16. 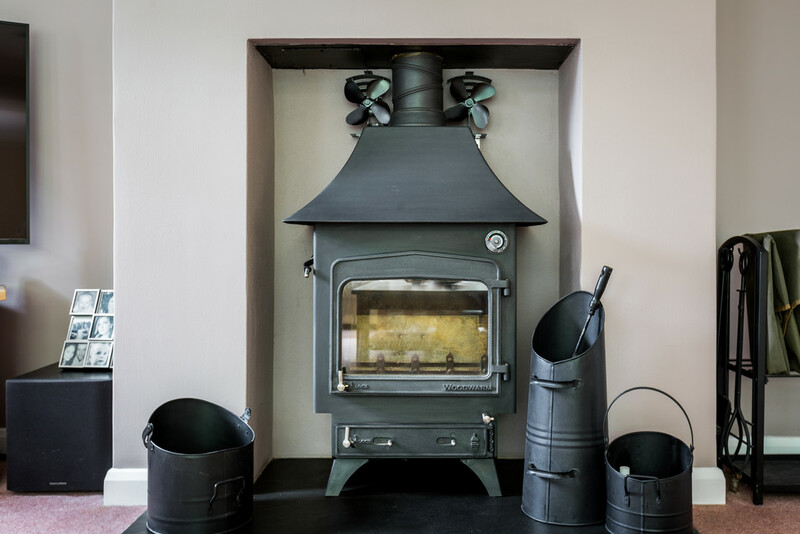 We really like the feature wood burner which we think provides a sense of warmth and cosiness to this large room. Elsewhere on the ground floor there is a shower room and an excellent utility room which has work surface space, butler sink, storage and space for a washing machine, tumble dryer and under counter fridge or freezer. 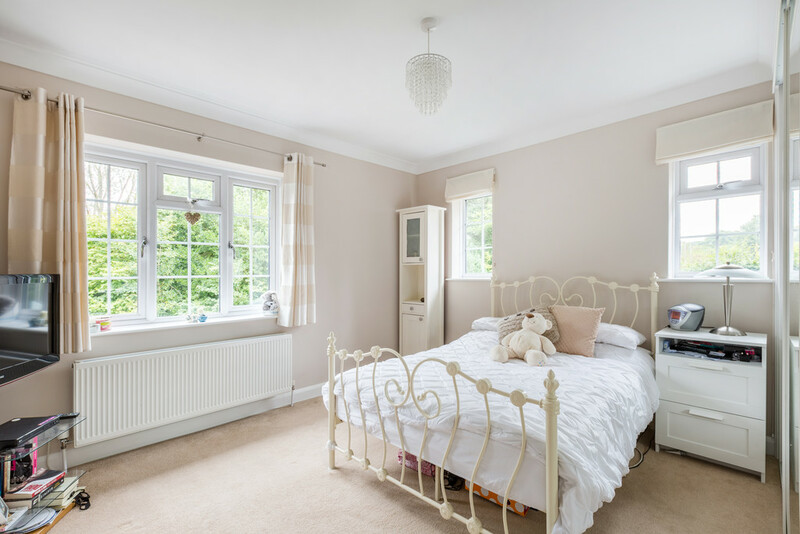 The first floor is equally as impressive, with probably one of the best master suites we have seen in a long time and ideally located at the rear of the house. 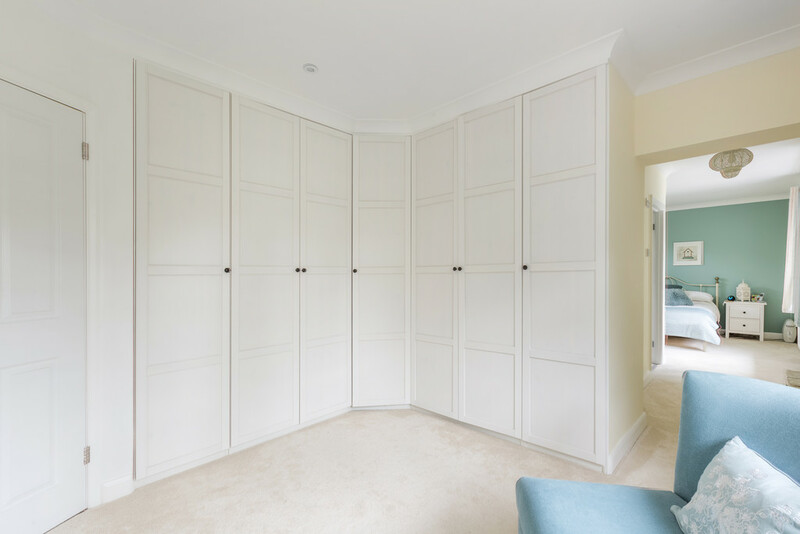 The room measures 31 feet in length and combines a walk in dressing room area as you enter the room with as much wardrobe space as you could wish for. This then leads you to the main bedroom area, with a double aspect to the front and rear and also access to the en-suite. 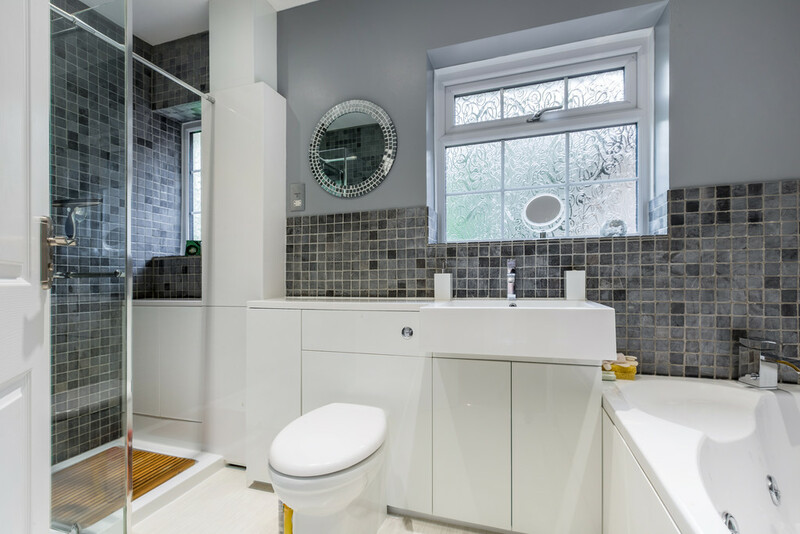 The stylish en-suite includes a large walk in shower with power shower and rainwater shower head, wc and a sink unit. 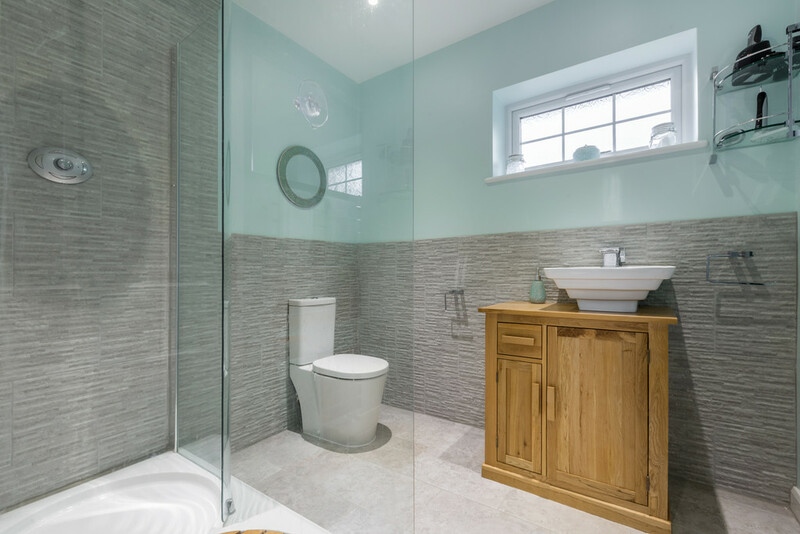 The family bathroom is equally as impressive, with a corner jacuzzi bath in addition to the walk in shower. 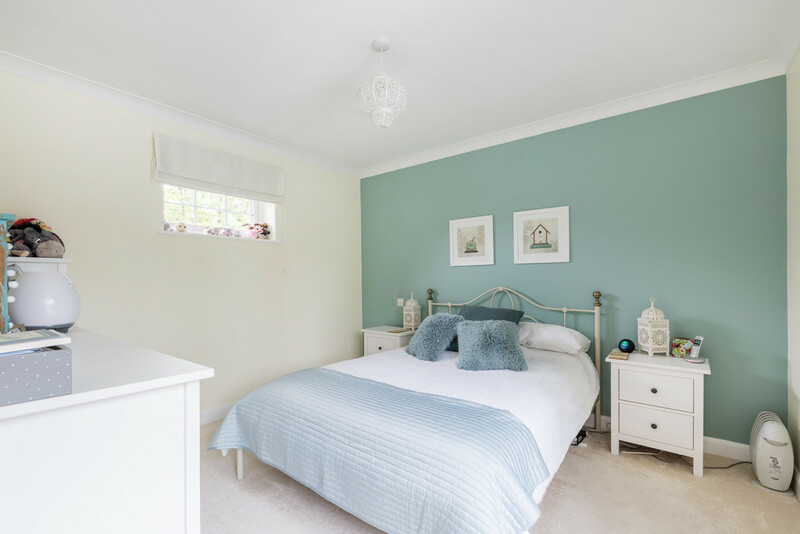 Another small detail we like is that all of the bedrooms enjoy a double aspect, with bedrooms two and three benefiting from built in wardrobes. Even the fourth bedroom is a good size, measuring 10 x 10. The rear garden is nicely secluded and benefits from plenty of daylight sun. We like the corner position of this home, the slightly angled rear garden providing that little bit of character. 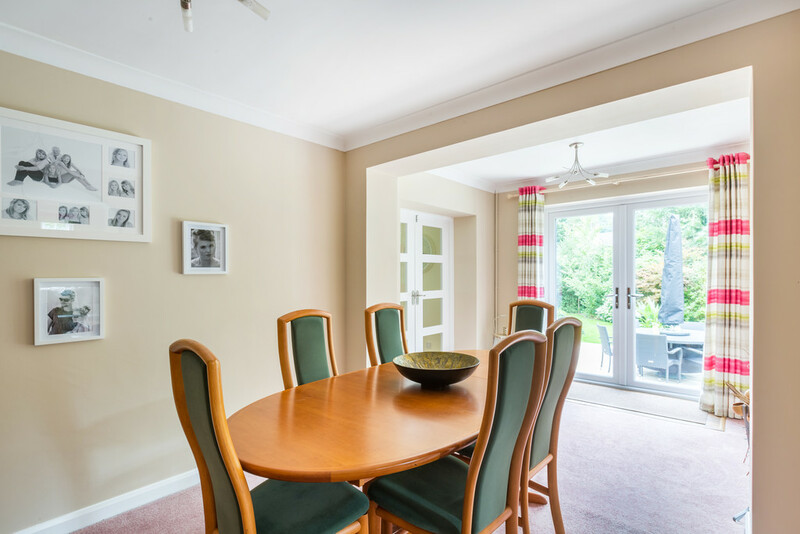 There is a large terrace which is accessed from the conservatory and the dining room, perfect for that summer BBQ and with plenty of space for a table and chairs. 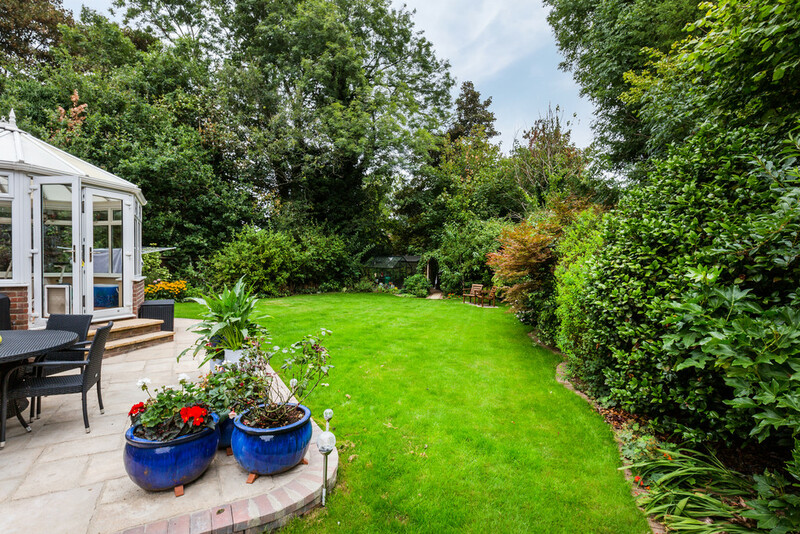 The lawn area is flanked by mature hedging and plants and tucked away in the corner is the garden shed and greenhouse. To the side of the house and tucked away is a log store. To the front the brick pave drive provides ample parking for at least four cars and access into the garage. 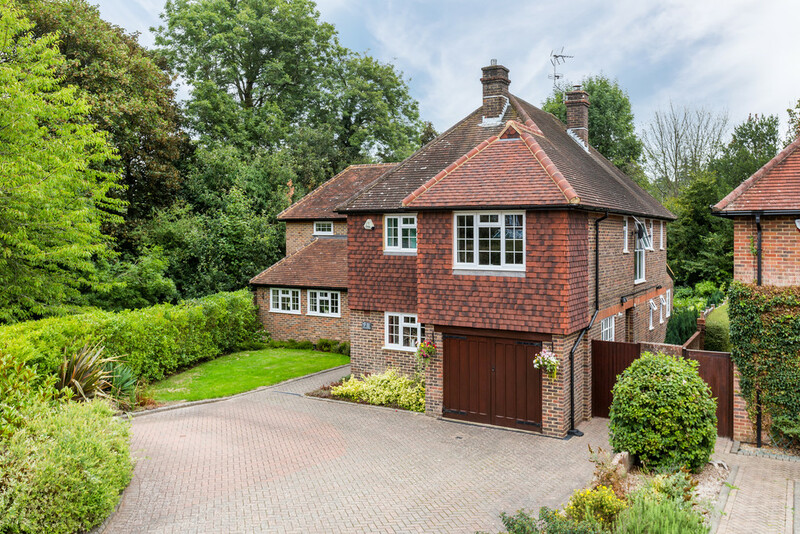 LOCATION Equally as impressive as the home is the location of West Common Drive. 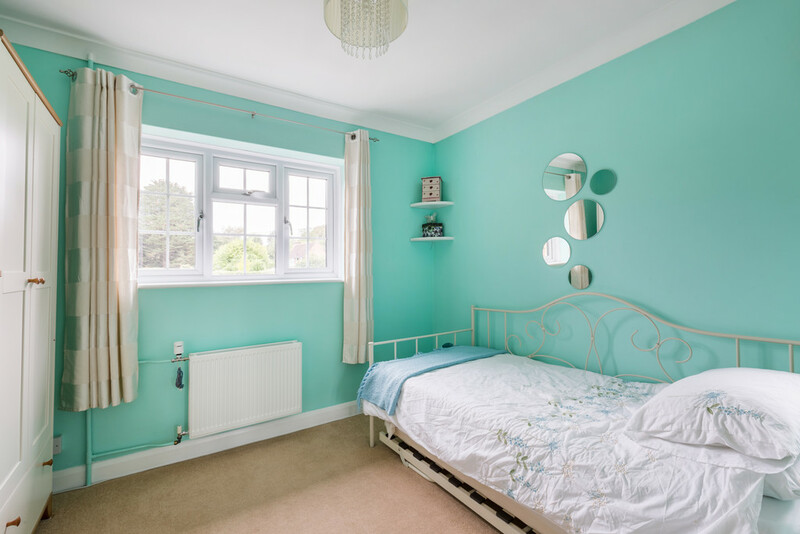 Perfect for commuters, you can be at Haywards Heath station within an approximate fifteen minute walk where published train times to London Bridge and Victoria are approximately 50 minutes, whilst Brighton is around 20 minutes to the south. Turn right from your front door onto West Common and head towards the centre of the village and you’ll soon be at the Common and the pond. The bustling High Street is the centre point of a thriving community with a wide range of independent shops to choose from. There are also plenty of great places to eat in Lindfield; we recommend either the Witch Inn or The Bent Arms if you are looking for that perfect pub lunch. For an evening meal you can’t go wrong at the Limes Restaurant, Paolino’s Italian or Tamasha curry house. Lindfield Coffee Works, tucked away on Alma Road off the High Street is proving to be a big hit and our go to place for coffee. At the Common you can watch the world go by – cricket at the weekends in the summer or football in the winter. It is also the home of the bowls club. And on a Friday evening at the top of the common, you can’t beat the Fish & Chip van! For schools, both highly regarded Blackthorns Primary and Lindfield Primary are within walking distance, (Blackthorns rated as Outstanding by Ofsted, Lindfield as Good) as is Oathall Community College. There are great places to get out and explore from Lindfield, National Trust facilities are located locally at Wakehurst Place and Nymans Gardens, with Sheffield Park less than 15 minutes by road. Brighton can be found 15 miles to the south, whilst a short drive north takes you to Crawley, London Gatwick and the A/M23.